with a very generous and giving community. 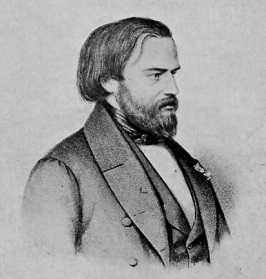 In 1833, in Paris, France; with the help of six others, Frederic Ozanam created the "Conference of Charity," only to be changed shortly after to "The St. Vincent de Paul Society" in honor of Saint Vincent de Paul their patron. The society was comprised of laity who provided assistance to the poor and suffering in the city of Paris. 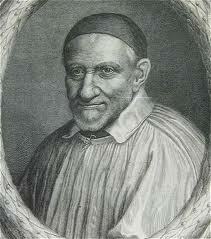 The Saint Vincent de Paul Society established its first conference in the United States in 1845 in St. Louis , Missouri. The Sacred Heart of Jesus Parish in Lewistown, PA established its first conference in August of 1999. The Conference has been very active in the Mifflin/Juniata counties since its beginning. Mission Statement: An all-volunteer Roman Catholic organization helping those who are in need, in the spirit of charity and justice. Members of the Sacred Heart of Jesus Conference meet monthly to discuss financial needs, upcoming events such as our Monthly Meals (every 3rd Saturday of the Month), discuss the types of assistance given in the last month to insure we are helping as many as possible, also fundraising efforts, and planning for the future. Grow spiritually through a gift of self to others, while fulfilling the two great commandments: Love of God and Love of neighbor. ​The Society of Saint Vincent de Paul is where you belong. Inquire about becoming a member today and remember: "In coming closer to the needy, you are coming closer to God." Need assistance, and don't know where to turn? St. Vincent de Paul can help with providing assistance with food, medicine, eviction notices, utility shut off notices, transportation and is able to direct you to other local agencies for any additional assistance that is required. In addition, the Society distributes food baskets for Christmas and offers a free community meal and bingo game during the spring, fall and winter months. Applications for assistance are taken at the Sacred Heart of Jesus Office at 9 N. Brown St., Lewistown, PA. Call for an appointment today (717) 242-2781. The Society reviews application on a case -by- case basis.